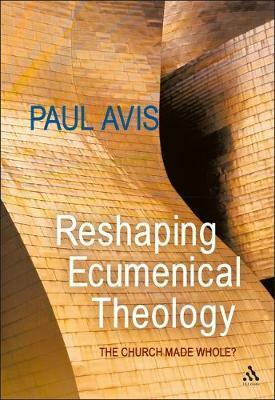 "Contesting Ecumenical Theology" is a major contribution to the study of the Church. It provides clear and authoritative orientation for the student, while probing deep into a range of key issues in ecclesiology and ecumenical dialogue from a critical standpoint that will stimulate discussion among scholars and ecumenists. It reclaims some old orthodoxies, while challenging some new ones, and points to a deeper and more personal engagement with the major traditions of the Christian Church as the way to fuller unity and more effective mission. "Contesting Ecumenical Theology" argues that the values of difference and diversity and the priority of mission and evangelisation must shape our picture of unity. It transcends old arguments about 'establishment', by showing that all churches are compelled to develop a constructive relationship to the modern state, wherever possible, if they are to be effective in mission. The central ecumenical notion of 'reception' is re-interpreted, not as the faithful unquestioningly receiving the teaching of church authorities, but as the process whereby the whole Church discerns the truth of new developments. The mantra 'baptism is complete sacramental initiation' is challenged, and the place of confirmation is secured within a total process of initiation. The ministry of the episcopate is affirmed, but only by being related to the gospel on which the Church is founded. The nature of communion is examined and the imperative of maintaining it against divisive tendencies is affirmed. 'The hermeneutics of unity' shows that we are shaped by each other through the conflict or rivalry of traditions: 'We are what we are because you are what you are'. Paul Avis is the General Secretary of the Church of England's Council for Christian Unity and convening editor of the journal Ecclesiology.